Branchwater Village is known for its tasty and nutritious meals. They are served everyday in our restaurant style dining room. The dining room is the center of family life for many, and we provide the warmth, taste and sweet smells that will make you feel right at home. The Branchwater Breakfast is pure southern. The aroma of fresh-baked biscuits, grits, gravy and eggs is reason enough to rise early and gather round the table. We take great pride in your dining experience. Our cooks use the freshest local ingredients to create delicious farm-to-table entrees at lunch and dinner. Residents enjoy a delicious array of standard favorites like the Sand Mountain Meatloaf to our famous Boaz banana cake, Heavenly Hershey pie or Peanut Butter Pie. On the third Thursday of each month, Branchwater opens its doors to Bring a Friend to Lunch Day. The menu is Succulent Ribs with sides. The guests can eat this amazing meal for only $3.00 per person. Healthy snacks are also served through the day. Our open door kitchen is stocked with fresh fruit, coffee, milk, juices and other treats available 24/7. 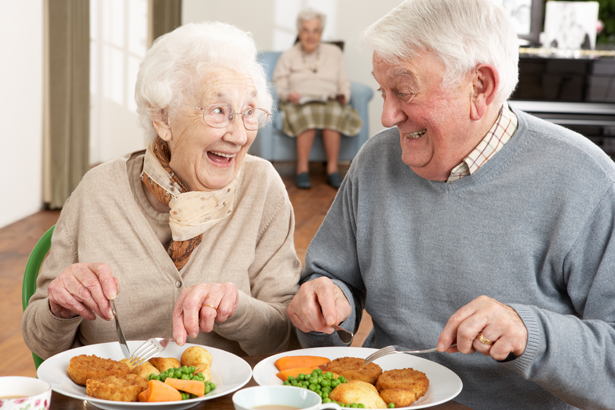 If you reside in the Independent Living garden apartment and would like to dine at the main building, Branchwater Village has affordable meal plans to choose from. Guests are welcome to dine with residents for any of our meals (with 24 hour notice).